What is a time study? Welcome to our website, where you will find practical tools and resources to help support you as you transition your school-based practice towards a workload approach. Please use the navigation bar above to guide you through our website. Which states have caseload caps and workload guidelines? A time study is a powerful method of helping you, and other stakeholders, to understand how you spend your time. It helps you to reflect on how much time you spend completing each of your workload responsibilities. have presented nationally, as well as at the 2017 School Specialty Conference in Orlando. Their collaborations have focused on the area of caseload to workload in school-based practice. 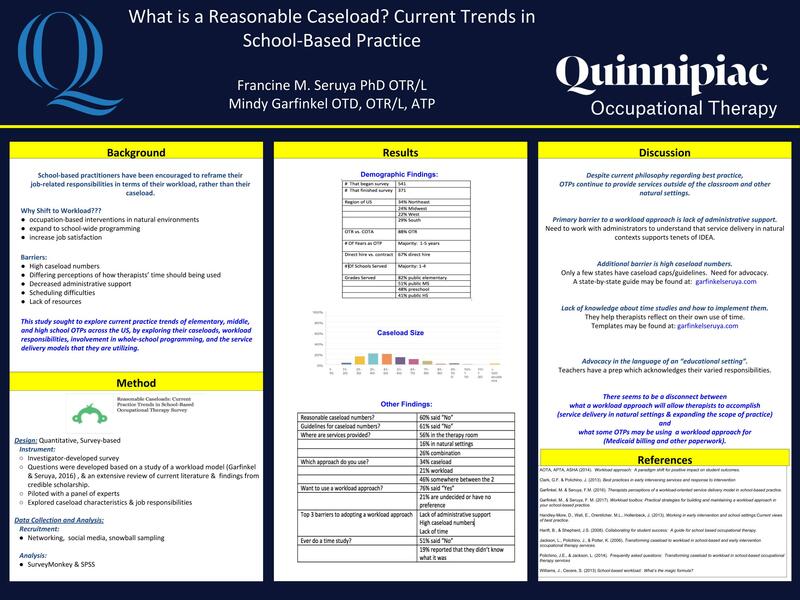 Couldn't make it to Salt Lake City, click on the link below to view our poster discussing findings from our study, "What is a Reasonable Caseload? 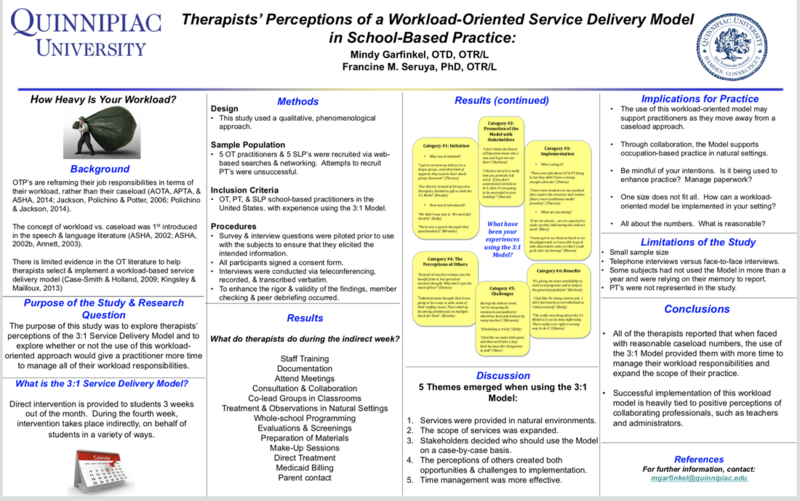 Current Trends in School-Based Practice"
You can find our article,"Therapists' Perceptions of the 3:1 Service Delivery Model: A Workload Approach to School-Based Practice" in the Journal of Occupational Therapy, Schools, & Early Intervention. Click on the link below to view the abstract. You can find our article, "Implementing Contextually-Based Services: Where Do We Begin?" 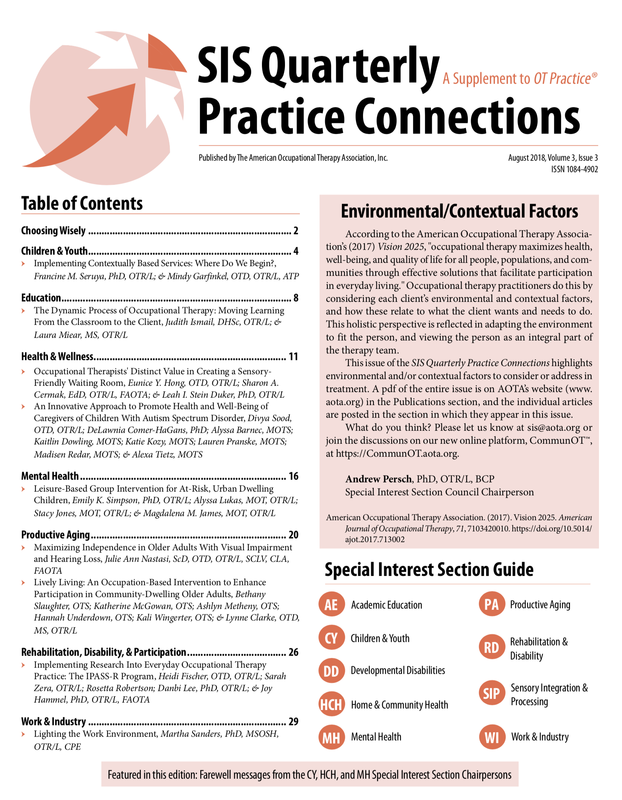 in the August, 2018 SIS Quarterly Practice Connections.